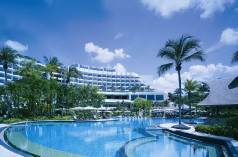 2019 Package holidays to the Shangri-La Rasa Sentosa Singapore Prices are per person based on two sharing. A 20-minute drive from shopping options at Orchard Road. The monorail service in Sentosa is directly linked to VivoCity Shopping Centre, one of the largest malls on mainland Singapore. 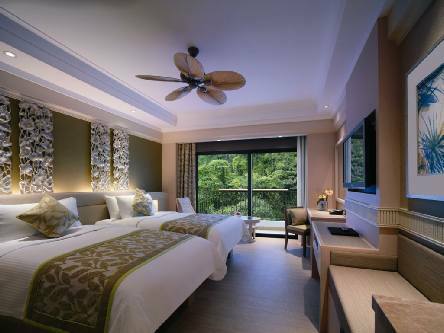 Each guestroom comes with a private balcony overlooking views of the hill, sea or landscaped gardens. Guests enjoy a complimentary round of items from the minibar. Facilities include children’s water slides and splash pad. Water sports equipment are available for rent for adventure-seekers. Also available at the resort is The Toots Club, offering babysitting services. Free WiFi is available throughout the hotel. 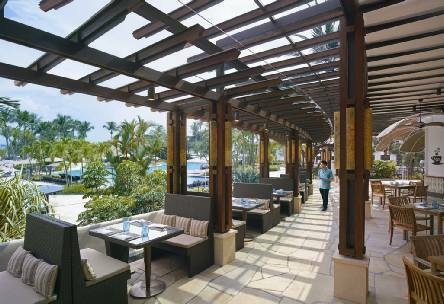 With panoramic views of the South China Sea, the Shangri-La's Rasa Sentosa Resort & Spa offers a modern tropical holiday experience along Siloso Beach, just a 20 minute drive from Singapore city. An excellent option for a bit of relaxation after the bustle of the city.